E. Folashade, A., J. Kayode, S., S. Oluwatoyin, A., N. David (Nigeria), M. (2018). Polychlorinated Biphenyl (PCB) Contamination in Water and Sediment Samples in Upper River Ogun, Lagos State, Nigeria. Iranian Journal of Energy and Environment; previously called: Iranica Journal of Energy & Environment, 9(1), -. Ajagbe E. Folashade; Saliu J. Kayode; Ayoola S. Oluwatoyin; Menkiti N. David (Nigeria). "Polychlorinated Biphenyl (PCB) Contamination in Water and Sediment Samples in Upper River Ogun, Lagos State, Nigeria". Iranian Journal of Energy and Environment; previously called: Iranica Journal of Energy & Environment, 9, 1, 2018, -. E. Folashade, A., J. Kayode, S., S. Oluwatoyin, A., N. David (Nigeria), M. (2018). 'Polychlorinated Biphenyl (PCB) Contamination in Water and Sediment Samples in Upper River Ogun, Lagos State, Nigeria', Iranian Journal of Energy and Environment; previously called: Iranica Journal of Energy & Environment, 9(1), pp. -. E. Folashade, A., J. Kayode, S., S. Oluwatoyin, A., N. David (Nigeria), M. Polychlorinated Biphenyl (PCB) Contamination in Water and Sediment Samples in Upper River Ogun, Lagos State, Nigeria. 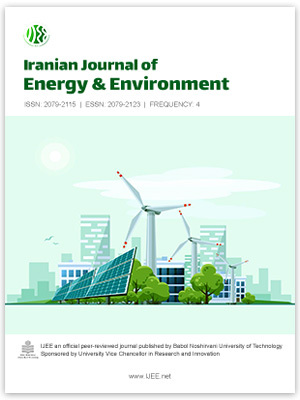 Iranian Journal of Energy and Environment; previously called: Iranica Journal of Energy & Environment, 2018; 9(1): -.